John Busso has over 15 years experience providing secure voice and data solutions. John has been a Subject Matter Expert for Enterprise Mobile Solutions such as Guest WiFi and BYOD, providing vision for diverse clients. His experiences include advanced requirements-gathering, architecture, consulting, proof-of-concept and integration of complex systems; advanced knowledge of integrating secure enterprise mobile systems; advanced enterprise-wide architecture, analysis, optimization and remediation of wired and wireless systems; architecture of complex management solutions; advanced implementation of leading-edge wireless voice, security and asset optimization solutions. The opinions expressed in this blog are those of John Busso and do not necessarily represent those of IDG Communications, Inc., its parent, subsidiary or affiliated companies. Can my phone be easily hacked? 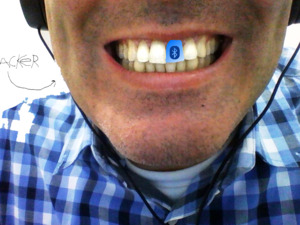 What vulnerabilities does Bluetooth present and what are some easy ways to help secure your smartphone? Just how secure is that hotspot? Sure free Wi-Fi is convenient and, well, free -- but what is the risk to my mobile device and how do I fight back?